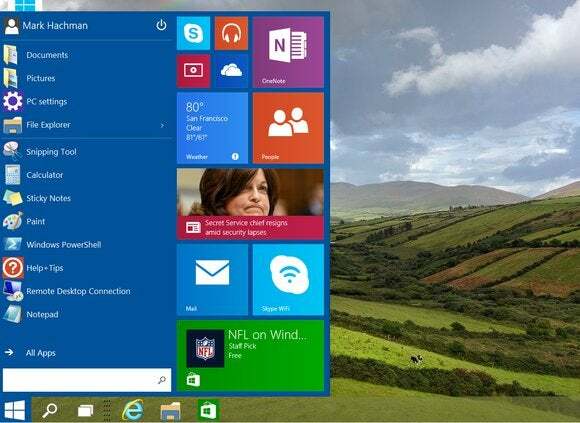 Hands-on with Windows 10 consumer preview: Hey Cortana, is that a Start Menu? Pitching a technical preview of Windows 10 to businesses last October was the easy part. Now, Microsoft hopes to satisfy a much more fickle class of customers: consumers. Microsoft is expected to show off a new preview of Windows 10 this Wednesday, and this time around the focus will be on features optimized for folks at home. We expect to see a PC version of the Cortana digital assistant that’s already deployed in Windows Phone; more graceful integration between the desktop and mobile iterations of Windows; possibly not one, but two new web browsers; and new synergy between Windows 10 and Xbox. Microsoft is also expected to talk about Windows Phone 10, which will tie Microsoft’s Windows family even closer together. But the most important message at Microsoft’s event will likely go unspoken: Windows 10 is the operating system you’ve been waiting for since 2012, and it will make you forget about the heartbreak of Windows 8 entirely. It all sounds very rosy, but Gillett is less optimistic that Microsoft will make significant inroads in the mobile space—which was the goal of Windows 8 in the first place. “While [Windows 10] will give developers the unprecedented ability to develop apps that work on PCs, tablets, and smartphones with a single application development effort, it does not show enough potential for a differentiated mobile experience that will draw developers and consumers away from iOS and Android,” Gillett said. So what exactly should we expect this week? Let’s take a brief look. 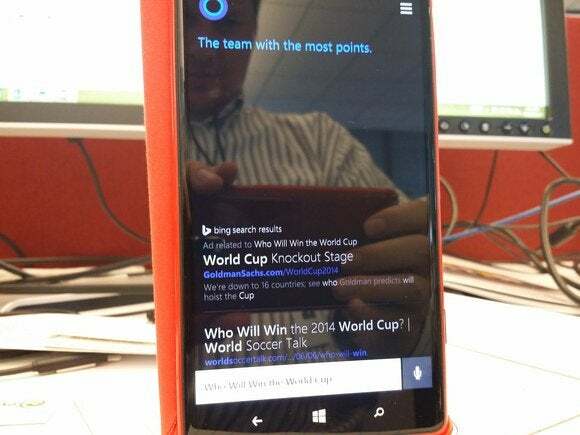 Expect to see these handy types of Cortana queries on your desktop. I remain unconvinced that Windows users are going to chatter away to a Cortana-enabled Windows PC as much as they do to a mobile phone. But it seems fairly obvious that Microsoft’s digital assistant will touch down within Windows soon, based on the leaks we’ve seen. Cortana will almost certainly take over many of the search functions within the operating system. October’s Windows 10 Technical Preview adds a search box on the taskbar, basically replacing the need to flip into the Modern/Metro environment and launch a query. That search box may remain, but I’d hope Cortana will phase that out over time. I’m especially hoping to see Cortana tied closely to Action Center notifications shared between the Windows 10 and Windows Phone platforms. I'd like to sit on my commuter train and ask Cortana to remind me of something, and have that reminder trigger pop-ups on my desktop when I get to work, along with reminders that I’d better leave now to arrive in time for a meeting, and so on. Google’s Chrome browser hasn’t quite delivered on this promise, but Apple’s iOS is headed in that direction. What Microsoft should understand is that while a PC has your attention, it needs to make itself as useful as possible. Continuum should tell a Windows tablet to run the “Metro” mode when undocked. In October, Microsoft executives touched upon what it called the “Continuum” concept: flipping the Windows user interface between the Desktop and Modern/Metro, depending on whether the tablet or hybrid was docked. In reality, this makes perfect sense: Nobody wants to poke through a lot of Desktop settings menus with their fingers, or even a stylus. I’m going to go so far as to say that Continuum is going to be hardly worthy of mention, because it’s going to be one of the obvious features that should have been there from the beginning. Does Internet Explorer need to become more streamlined and lightweight? Microsoft apparently thinks so. Microsoft’s “Spartan” sounds like an interesting beast: a do-over, essentially, of Internet Explorer. Leaks on ZDNet and the Verge point to the browser's becoming a lightweight version of IE, but with support for extensions. Anyone who’s used a PC for a number of years has probably tried Chrome—if only because the alternative browser of choice, Firefox, suffered notorious memory leaks, bloating it to a point that many considered unusable. But Chrome’s habit of sandboxing each tab means that browser isn’t exactly lightweight, either. In the past year or so, however, the trend has been to strip the cost out of PCs to make them more price-competitive with phones and tablets. 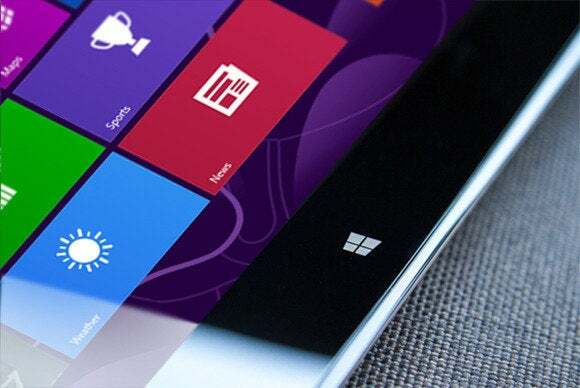 Microsoft’s made Windows essentially free in smaller tablets. Trimming RAM and flash storage to cut cost has been a popular tactic—not just in PCs, but Windows Phones as well. Re-engineering the browser to make it efficient and lightweight was the foundation of Opera Software—which is the default browser on Microsoft’s feature phones, by the way. It seems reasonable that we might see higher-end laptops with Windows, and IE; cheaper, low-end models could run the free Windows with Bing on top of the new Spartan browser. As far as features are concerned: I care more about the content of the Web page I’m viewing than the browser I’m using. 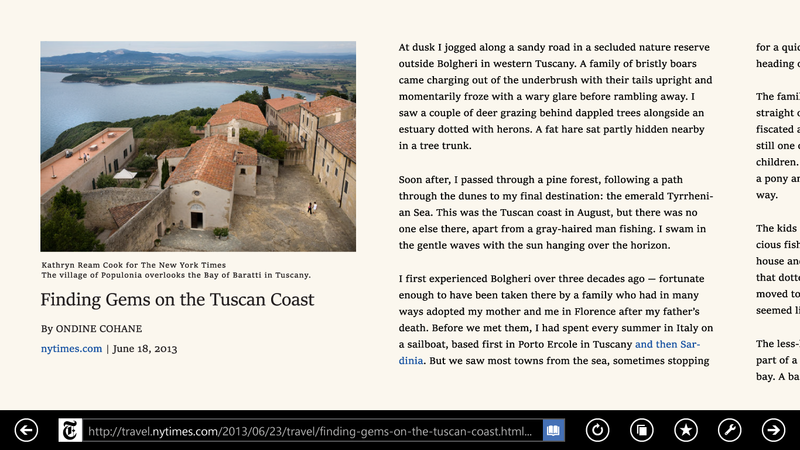 But browser plug-ins have been a feature IE has missed for some time. SmartGlass is a second-screen app for the Xbox. More integration between the Xbox and Windows is en route, apparently. We know Xbox chief Phil Spencer will present at the Windows 10 event, and on Thursday he spoke vaguely about what he plans to do. Reading between the lines, it looks like Spencer and Microsoft hope to bring PC gaming more in line with the Xbox. Windows 10 will ship with DirectX 12, an optimized API that will be “closer to the metal” and bring PC games more in line with consoles, from a rendering perspective. That also sounds an awful lot like what Spencer is talking about. In some sense, PC gamers are a breed apart (and like it that way), with valid complaints that consoles have dumbed down great PC game franchises like Thief, for example. Games for Windows and other gaming “features” have also been reviled by PC gamers. I’m hoping that we begin to see a much more robust PC games store, along the lines of Steam, instead of the anemic, casual Windows Phone games that currently litter Microsoft’s Windows Store. Windows Phone will eventually get an overhaul, too. Will we see it next week? Microsoft may dive deep into the guts of Windows Phone 10, but I’m not holding my breath. Part of the Continuum message is that users should have the same experience on a Microsoft device, whether it be a phone, tablet, or game console. And Microsoft has said that Windows 8-powered Lumias will be able to run Windows Phone 10. But it’s not really clear whether Microsoft plans to hold Windows Phone 10 to the same timetable as Windows 10 itself. I think we’ll hear something more on the subject, even if it’s not code that we can play around with. We know that a few other changes are on the way: Microsoft’s Gabriel Eul confirmed that Windows 10 will support the FLAC audio format, for example. Neowin's list of what they expect to see in Windows 10 includes multiple settings and revamped versions of existing apps. Finally, there’s the money question—not Windows as a business tool, but how Microsoft plans to monetize it. We don’t know whether Windows 10 will be a free upgrade for Windows users, sold at a discounted price, or combined with some sort of services bundle or subscription to make up the difference. Microsoft chief operating officer Kevin Turner has indicated that Microsoft will begin addressing some of these issues early this year—whether this week will be the date he does that, however, isn’t certain. Next week, however, will be like the Golden Globes for Windows 10. As the new operating system walks the red carpet, we’ll all begin to fabricate the buzz that’s going to shape the release of Microsoft’s new OS. Is it a winner? Or will Microsoft bungle the basics? So far, based on our use of the technical preview, Microsoft’s done many things right. It’s listened to feedback, made changes, and added features where necessary. But make no mistake—this week’s reveal is as critical for Windows 10 as its eventual launch.